St. George’s opened in 1843 to accommodate the overflown (“chapel of ease”) from Christ Church Cathedral and was first located on what is now Notre Dame Street, just outside the city walls. 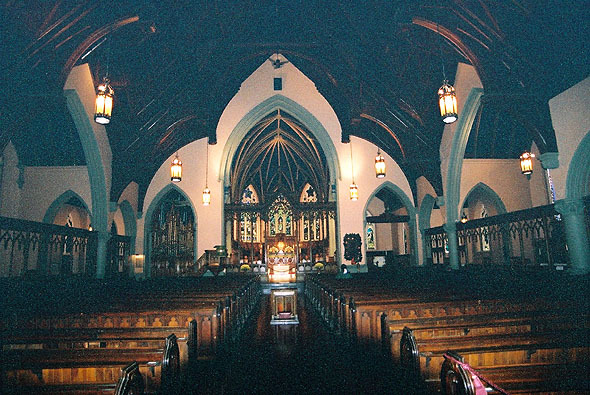 The present building was opened for worship on October 9, 1870 after an architectural competition. Its main features include the magnificent double hammer-beam roof, the unique column-free interior which combines elements of both English and French Gothic plans, and the superb English wood-carving in the chancel.